State police spokesman Nnamdi Omoni said the attack was a "cult-related incident," a term typically denoting gangs or criminals who are hired for political gain and often blend belief or black-magic rituals in their acts. 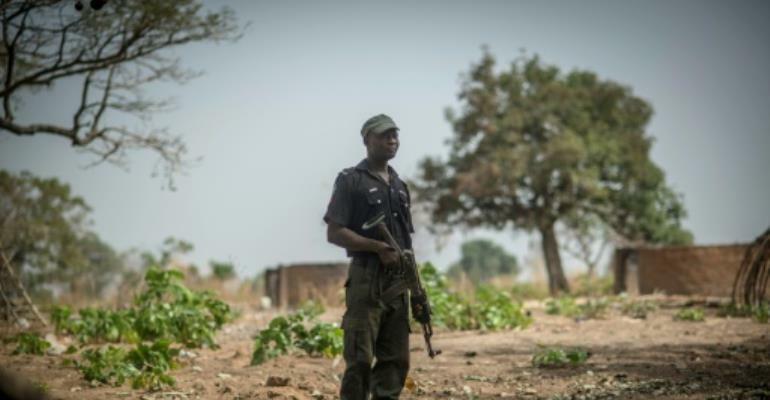 In the northern state of Katsina, 14 people were killed on Sunday in clashes between cattle thiefs and a civilian militia armed by the government to support the security forces, police said. "The volunteers went into the forest and engaged the bandits despite being warned by the police never to confront the bandits on their own... because of the sophisticated weapons the bandits have and their good knowledge of the terrain," Isa said. Local resident Usman Abdullahi, a Tsamiyar Jino resident said around 100 vigilantes from surrounding villages had stormed the bandits' hideout but were outgunned and had been forced to retreat "in disarray". A state police spokesman confirmed the incident but declined to give further immediate details.